Marka means People in Quechua, the largest native spoken language of the Americas. It is also the name of the multinational, multicultural Pan Andean world beat ensemble based in Massachusetts, made up of seven, South, Central, Caribbean and North American musicians. Today, all over Latin America, the voices and instruments of Europe, Africa and the United States mix with the themes and sentiments of fading indigenous cultures. Many Native American tribal groups are extinct, and much of their aboriginal music, like the rain forest, has disappeared. In place of these silenced musical traditions are new ones, themselves art forms, some joyful, some sad, but always expressive. 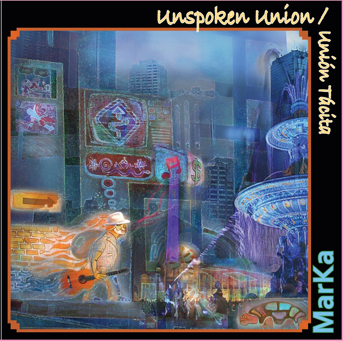 The musicians of Markamusic bring these influences together with their exquisite new fusions. Was recorded in 2006 at MarKamusics own studio. The collection of mostly original songs is a tribute to the South American roots of much of the musical baggage of the ensamble. 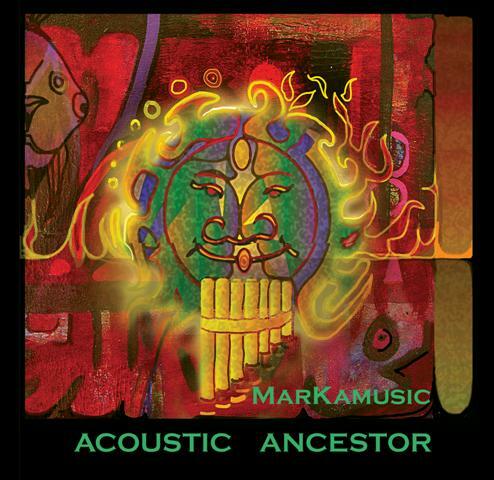 Acoustic Ancestor is grounded in a fusion of rhythms from traditional Andean Music inspired or influenced by Brazilean Bossanova, Ecuadorean San Juanito, Uruguayan Candombe music, New Age feel and Peruvian and Bolivian Beats. Over this aural tapestry, MarKamusic's songs emerge as a perfect blend between the relaxing sounds of nature and hypnotic Andean beats derived from the African motherland to the inhabitants of the southern hemisphere. At times reminiscent of the Rain Forests, the Ocean, the Desert and the montaneous landscapes, the sweetness or intensity of the music never falters in this work. Prepare to enjoy a musical voyage that appeals to the indigenous, traditional and modern aural surroundings of your senses. MP3 Samples "Women and Children"
Recorded at “People under the Stairs” studio, "Women and Children” represents MarKamusic’s own aural landscapes and sonic representations of Latin American music. Heartfelt songs that speak of the Amazon, the Rain Forests of the Americas, the perfection of love and the pride of one’s own heritage. But most importantly this collection of songs is an eclectic collage that accurately represents the musical background of the Latino societies from were MarKamusic members came: A patchwork of superimposed elements that weave ancient instruments, rhythms and influences with new developments from the myriad of musics currently coming from the south. The Andean countries with their intense feel, interacting with Caribbean soul and cadence as an aural poetry. Music alloys such as Andean music or Ecuadorian rhythms with Puerto Rican Jibaro music; Rock with waltz and Venezuelan rhythms; the integration of Colombian Cumbia with Puerto Rican Salsa are some of the staples of MarKamusic’s own brand of musical pollination which are noticeable in their ecordings.